Brian Transeau, best known by electronic music fans as BT, has transcended his career to new heights with the release of his unique new ‘_’ album. The untitled LP has just been released officially through Black Hole Recordings. 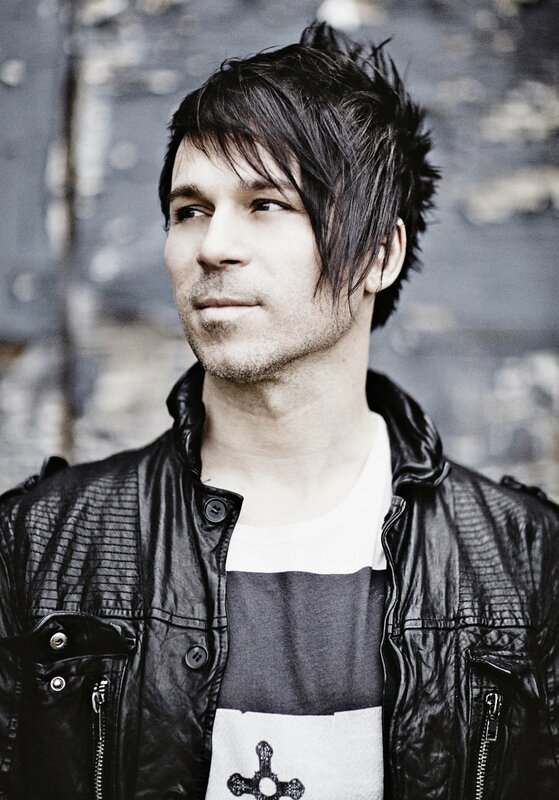 An iconic musician, BT has become known for his evolutionary use and incorporation of technology within his creations. From his past studio albums such as These Hopeful Machines (2010), Emotional Technology (2003), Movement In Still Life (1999), A Song Across Wires (2013), and Ima (1995), to his motion picture soundtrack releases, when it comes to BT’s extensively crafted discography, nobody else quite compares. We caught up with the producer and DJ to discuss the brand new album, what went into its creation, his feelings towards new technologies, and much more in this Nocturnal Times interview with BT. The Nocturnal Times: In what ways did you seek inspiration with regards to the audio and visual experience you crafted with “_”? What is the significance behind naming the piece “_”? BT: It’s actually unnamed but the online music retailers wouldn’t let us not name it so we chose the most minimal character we could. My inspiration always comes from the creator, nature, math and my family. The Nocturnal Times: Were you envisioning certain visuals in your head while creating the audio components? BT: Not specifically, but I was envisioning flight. The Nocturnal Times: During the album-making process, did you often find yourself visualizing certain countries or cultures while creating the accompanying track? BT: No just the act of flying. The Nocturnal Times: The video components on “_“ were all filmed by you as well. Do you find that you enjoy having complete creative control over your work? The Nocturnal Times: If you do seek guidance or assistance from others on a project, what sectors does it usually entail? BT: I prefer not to share works in progress (literally ever). The only people that hear things are my wife, my daughter and our cats. The Nocturnal Times: The album, which is a true work of art, takes listeners/viewers on an emotional journey. Are there any messages you hope to convey with your latest work of art? BT: Thank you so much. Well, I think the world can be perceived as a pretty bleak place if you listen to what mainstream news or popular culture tells you. Without ignoring the obvious trials and struggle of humanity, I’d like all my work to be a simple respite from daily stressors (at the least) and for those that spend time with it something inspiration, filled with awe and joy and as detailed as anything man has the capacity to make. That’s the goal. The Nocturnal Times: Is there anything that stands out to you most from the release or do you feel this is pieced together as a puzzle, a flowing story to be told? BT: It really is this long story. I want people to ask questions, feel creative and be introspective and inspired while listening to it. The Nocturnal Times: Always breaking genre barriers and progressing with technology, how is your latest work different from your last with regards to advancements in technology? In what ways have these recent advancements changed your perspective or impacted creative technique? BT: This is a great question. More than anything, I’m continuing to deepen my awareness and understanding of things I’ve loved and studied for years. There are some really new additive and spectral techniques on this new record. The Nocturnal Times: What can you share with The Nocturnal Times regarding the creation of “_”? How is this different from your past albums? BT: This is the first album I’ve made almost exclusively while traveling. I did these behemoth modular compositions at home to SD card, would do an accompanying acoustic jam and take all the stems, put them on my laptop and go nuts while on airplanes and in hotel rooms. I literally made this record all over the world. Prague, French Polynesia, Poland, SanFran, LA, Texas, Australia…I wrote, explored and refined these things all over the place. The Nocturnal Times: What are some of your fondest recollections during your experience creating “_”? The Nocturnal Times: Have you made any marveling discoveries recently that you’re able to share with us? BT: RX is the greatest sound design tool I’ve ever had. Literally ever. I could write a 500 page paper on this, too much for a short answer. If you’re an electronic musician, you owe it to yourself to try RX for sound design. Think out of the box! The Nocturnal Times: Who are some of your favorite musicians at the moment? Aside from “_”, can you recommend your favorite albums released this year? BT: New James Blake and new Mute Math. The Nocturnal Times: What do you have planned for your next project? Have you already started to consider what you desire to do next? BT: Next will be releasing the second All Hail the Silence EP followed by the album and a tour! For more information visit btmusic.com. Follow BT on Facebook, Twitter, and Instagram.